Amongst the base metal commodities, copper and zinc have both experienced strong gains in 2019. Following a stellar two year run in which zinc increased from about US$0.65 per pound to more than US$1.60 per pound in early 2018, the black metal retraced sharply during the remainder of the year, hitting levels of around US$1.05 per pound. The extent of this decline appeared to be accentuated by negative global economic news, but as equities markets and commodities alike shrugged off some of these issues, zinc surged between January and March. Only last week, it hit a nine month high of US$1.30 per pound, and on Thursday this was surpassed as it touched on US$1.32 per pound. The supply/demand equation is looking positive with five-year London Metals Exchange zinc warehouse stock levels hitting a five-year low of approximately 58,325 tonnes yesterday, down from about 240,000 tonnes six months ago and well below the 800,000 tonne level that prevailed in early 2014. It is impossible to predict whether this is the start of a sustained rally, but even around these levels zinc miners are positioned to make healthy margins. It is a similar story with copper as stock levels of about 180,000 tonnes are well below the 380,000 tonne mark 12 months ago. The metal has been trading between about US$2.91 per pound and US$2.97 per pound over the last three weeks, and it is currently at the top of that range. Similar to zinc, the red metal hasn’t traded at these levels since mid-2018, and a break above US$3.00 per pound may be the psychological point that pushes it up towards the 2018 highs of approximately US$3.30 per pound. Emerging copper-zinc producer, Venturex Resources (ASX:VXR) is our Stock of the Week, a company that has just completed an important capital raising through the issue of shares at only a 2.2% discount to the last trading price of 22.5 cents. When capital is raised through the issue of new shares in the mining sector it is not unusual to find double-digit discounts to the last traded price and/or recent trading levels. Consequently, the ease with which Venturex raised approximately $3.6 million to progress its Sulphur Springs Copper-Zinc Project through to the finalisation of project finance and permitting indicates significant confidence in the company’s ability to expedite its transition to production. There have also been other developments on the corporate front that should benefit Venturex in taking the company from an impressive definitive feasibility study (DFS) through to production. Consequently, we see it as an attractive way to leverage off the rebound in copper and zinc, particularly given the quality of its long life Sulphur Springs Project (approximately 12 years base case) and the value of its other assets. Unfortunately, the release of a promising DFS and a reserve upgrade in October 2018 coincided with the big sell-off in equities markets and a plunge in commodity prices. As indicated below, the company’s shares increased nearly 50% from approximately 17 cents when this news came to hand to a high of 24.5 cents a fortnight later. The company is now trading around that October high, but just as brokers were upbeat regarding the DFS, they still see the company as undervalued. Steuart McIntyre from Blue Ocean Equities was impressed with the DFS, initiating coverage of the company with a buy recommendation and a price target of 60 cents. Commenting on the underlying metrics of the project McIntyre said, “With a post-tax NPV (net present value) of approximately $310 million at spot prices versus a market capitalisation of only $40 million, it’s safe to say we sees substantial upside potential for Venturex’s share price. He went on to emphasise that Sulphur Springs’ key advantage is its superior copper equivalent grade of approximately 3%. Reflecting on his copper price assumptions, the commodity is not far off the midpoint of the recovery he was predicting. Following last week’s capital raising, Blue Ocean also highlighted the strength of the group’s management team, led by AJ Saverimutto, formerly the mine manager at Grasberg, the largest gold mine and second-largest copper mine in the world. McIntyre noted the presence of Northern Star Resources Ltd (ASX:NST) as a substantial shareholder with a stake of 19%. Northern Star’s presence on the register should be viewed positively by shareholders regardless of the strategy it employs. Traditionally, the company hasn’t been one to maintain long-term minority shareholding in companies. Aggressive acquisitions have resulted in Northern Star transitioning from a company with a market capitalisation of $340 million about five years ago to $5.7 billion today. While the group’s focus has been on gold, management could see the acquisition of a company such as Venturex as a means of diversification. One would expect an acquisition should occur at a premium to the company’s current trading range, representing a positive outcome for shareholders. Given Northern Star had cash, bullion and investments of nearly $300 million as at December 31, 2018, it has the capacity to make a cash acquisition, or alternatively be part of a funding solution with the latter looking more likely. With regard to funding, Saverimutto said, “We continue to systematically tick the boxes required to secure an appropriate funding package and move the project into construction. “The agreement with Toho (Toho Zinc Co.) represents an important element in our negotiations with off-takers and brings us one step closer to securing an attractive funding package. “At the same time, the completion of the Independent Technical Review means that the project has passed the very high level of scrutiny and due diligence applied by potential financiers. The agreement with Toho was only reached last week, and it is an important development as the company maps out its early stage production/financial outlook. Under the terms of an agreement between Venturex and Toho Zinc Co. the latter has agreed to defer its existing zinc off-take rights for a period of five years in order to allow Venturex to use the near term zinc off-take to help fund project development. Toho’s off-take rights, which covered the first 230,000 tonnes of zinc-in-concentrate to be produced from the project, stemmed from Venturex’s original acquisition of the Sulphur Springs Project in 2011. 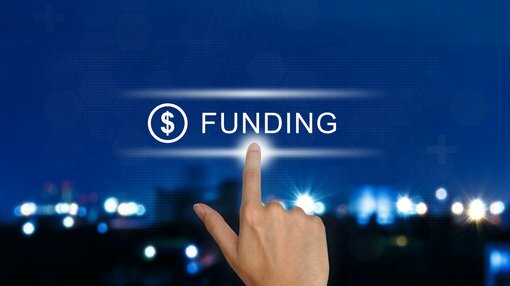 Earlier this year, Venturex announced that the company had received several proposals from strong off-taker groups, all of which included the provision for off-take funding. While there are a myriad of scenarios which could come into play in terms of project financing, analysts at Hartleys have modelled their numbers on nearly $90 million in debt funding, 50% of what it estimates for total pre-production capital, including a contingency for working capital. The broker expects approximately 50% of the capital expenditure requirement will be funded via a capital raising in 2019. Hartleys’ modelling also assumes Venturex will raise $79 million in placements at an average price of 24 cents per share. While this would involve a substantial increase in the number of shares on issue, it expects Sulphur Springs to generate a pre-tax profit of $79.8 million in fiscal 2021, representing earnings per share of 13.3 cents based on an expanded capital basis (not including the recent issue of 16.6 million shares at 22 cents per share). Hence, the dilutionary impact of raising this amount of capital wouldn’t appear to be an issue as Hartleys’ implied fiscal 2021 PE multiple is 1.7. These metrics make Blue Ocean’s share price target of 60 cents appear achievable given that the implied fiscal 2021 PE multiple is less than five.